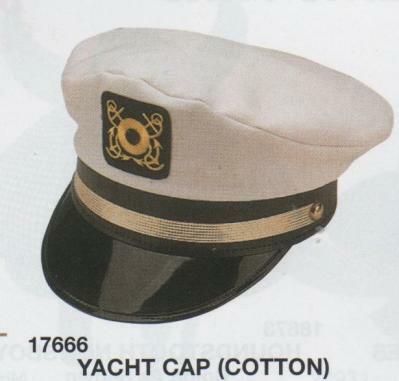 USA produced Union-made traditional Yacht Captain's Cap has a shiny black brim and and anchor badge. Quality shape and sewing not found in imported caps. Made of cotton,each has an adjustable strap in back for sizing. Skippers everywhere recognize this Captain's Cap as the symbol of off shore command. Our best quality cap. Whether you command a Rowboat, Party Boat, or Battleship, this is the style you wear while at the helm.